Digital Bitbox is a plus-and-play and second factor authenticator that combines high security of “cold storage” with the convenience of software wallets. It was developed by Shift Devices AG, a company from Zurich, Switzerland. Digital Bitbox is a device very similar to the traditional USB stick, used for data storage. Currently, only Bitcoin and Ethereum are being supported by the hardware. The company plans to add more coins in the future. The Digital Bitbox is a FIDO Universal 2nd Factor compatible authenticator, which can secure your accounts on Google, Facebook, Dropbox and many others. To summarize some of its components, the Digital Bitbox has a touch button with backlit LED for user confirmation. This button is used to confirm a financial transaction. 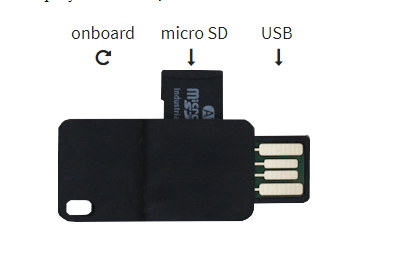 A micro SD card slot had also been added in order to provide offline and anytime backup or recovery. A single purpose microcontroller + tamper-resistant high-security chip for storing secrets and a random number generator device for the creation of private keys complete the hardware wallet. Also, the connection to your computer takes place via an encrypted USB communication. • A native software client that helps you avoid security risks of browser-based clients. • A fully open source firmware. • Backup and recovery offline and anytime with a micro SD card. • Portable and extremely durable device packed with security. • Smart verification and a mobile app for second factor authentication (optional). 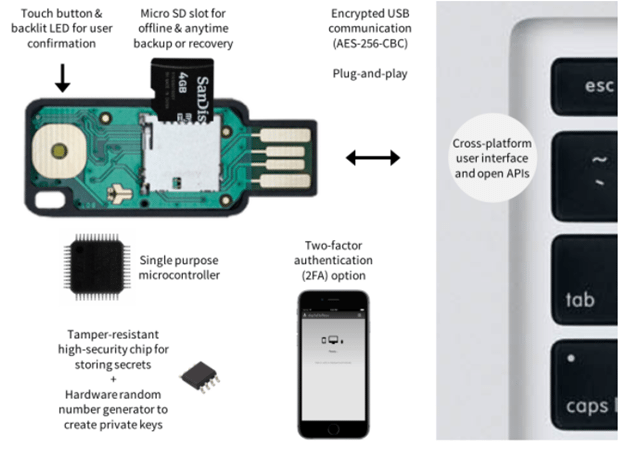 • Encrypted communication over USB that is immune to glitching and timing attacks. • A capacity touch button used for confirmation of each transaction. By touching it briefly you reject a transaction and by touching it long you can accept it. The Digital Bitbox is available for 54 euros, including a micro SD card of 4GB. The shipping also costs 25 euros, so you can have it for under 100 euros. Based on the features and specifications mentioned above, Digital Bitbox is a reliable hardware crypto currency wallet, available for an affordable price. We hope the company will enable the use of more crypto currencies soon. Summary: Digital Bitbox is a plus-and-play and second factor authenticator that combines high security of “cold storage” with the convenience of software wallets. It was developed by Shift Devices AG, a company from Zurich, Switzerland.